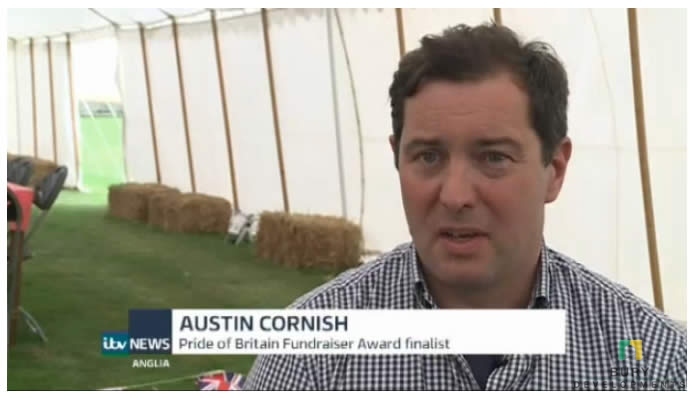 Austin Cornish of Bury Developments Ltd is a Pride of Britain Fundraiser Award finalist for the East of the Anglia region. Eight amazing fundraisers from the Anglia region have been shortlisted for a Pride of Britain Award. One will be selected as the regional winner from the East of the Anglia region and one from the West of the Anglia region. There were selected from among hundreds of nominations sent in by ITV Anglia viewers and readers of the Daily Mirror.